We run a bevy of vendor based shows, and it would be a total life saver if after a vendor submits an application & we review it, if we could then just click a button next to that particular submission to send an approval or denial email response. I have checked your form after making a clone version of it. I see that you have a way to collect or gather your respondents/submitters email address. We can use that so we would be able to achieve what you would like to happen. 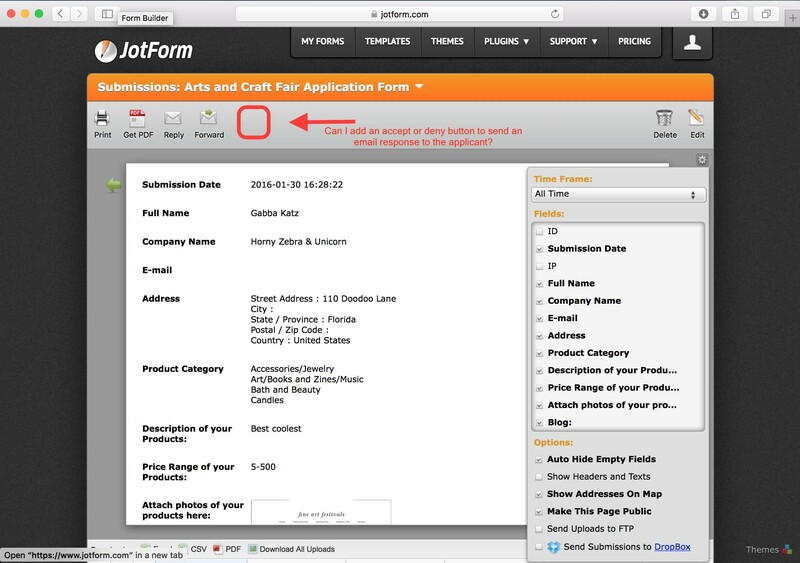 Aside from that field, we will add another field on the form and set it to hidden for your submitters not to see it. Other things that we need to create are two autoresponders, one for denied and one for approved. 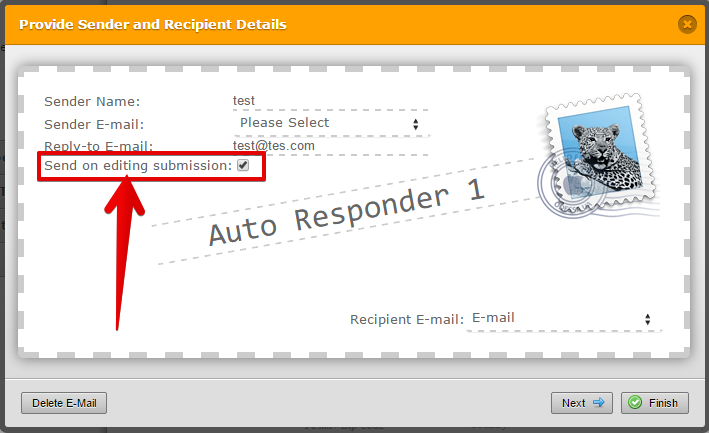 These autoresponders are going to be sent to your submitters depending on the conditions that you also need to create on your form. 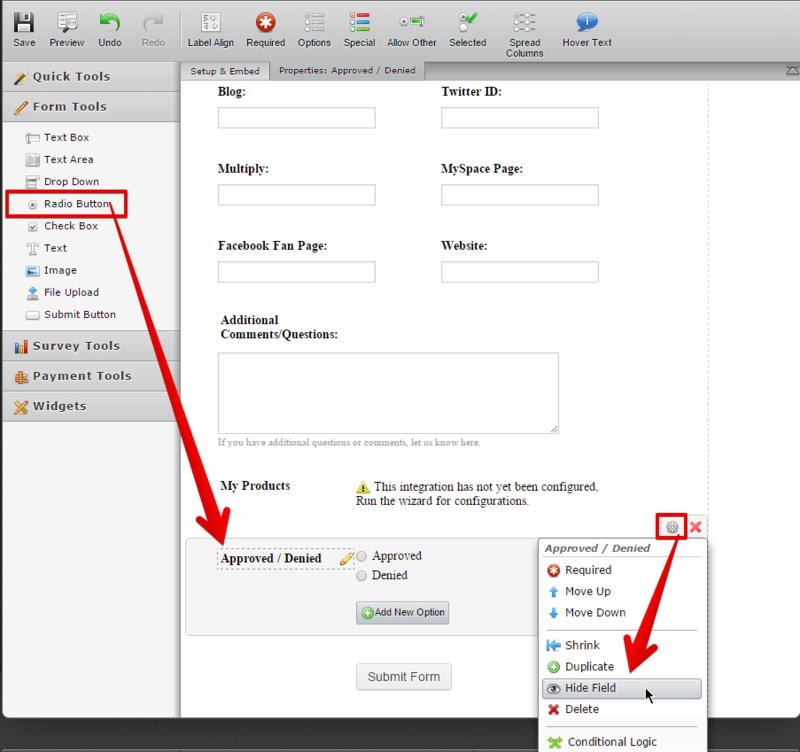 Make sure to create another autoresponder for approved submitters and change details from denied. Note: Do not forget to check this part. Since you have checked the "Send on editing submission" option, autoresponders are still going to be sent on edit submissions. Also, hidden fields (Approved/Denied) are visible on edit submission. 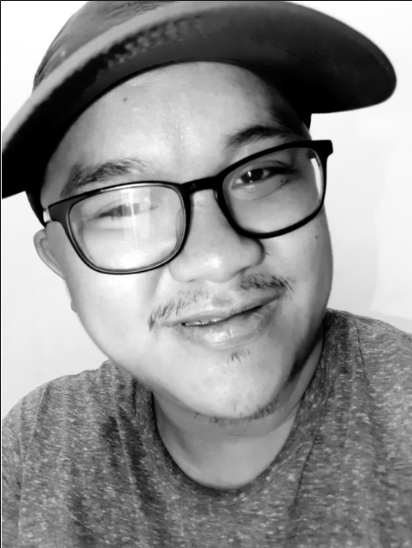 Now that you have set everything up, go to the submission page of your form and click the edit submission of the submission that you would like to approve or deny. Select whether the submission is approved or denied and click the submit button to re-submit the form and send the conditional autoresponder base on your selection. Please be noted that re-submitting submissions will not make any additional count to your submissions. If you have any questions or concerns regarding the instruction above, please feel free to get back to us and we will be glad to help you. Thank you.